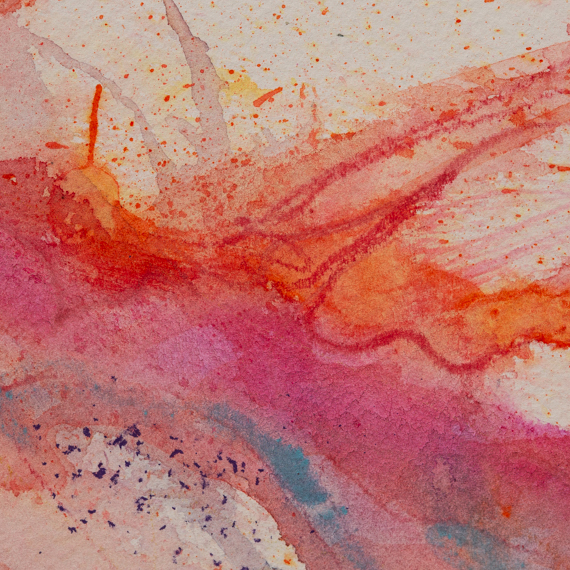 All works presented here are painted on high quality, acid free watercolour paper or board. This series of large scale watercolour works references the dwindling populations of sea life struggling to maintain their populations in our oceans, battling against over-fishing, trawling and pollution. 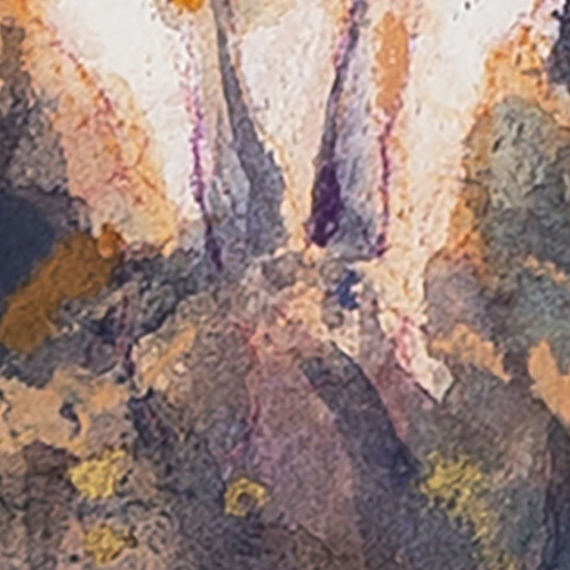 Abstracts in ink and watercolour with gold leaf on heavyweight watercolour paper. The gold is from a supply given to me by my uncle in the UK who used to work on The Queen Mary - one of the last great ocean liners. He used the gold for gilding the detailing and name plates around the ship. I remember going down to Southampton Water with my grandparents to see The Queen Mary leave on her last voyage out of Southampton in 1967. Working in layers and with pencil, brush and fingers too, I build up strata of colour and line. Artist working in watercolour, oils, pastel and digitally. 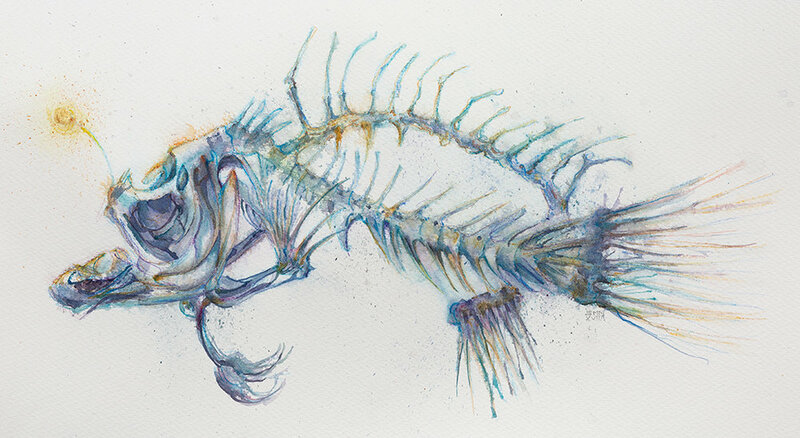 I love the way watercolour moves, settles and migrates - I love the spare precision of skeletal remains. These current large scale paintings combine the two. I accept commissions. Please get in touch to talk through what you have in mind. I am not an 'artisty' artist. I am pragmatic, business-like and straightforward. That doesn't mean that I don't appreciate beauty, light and the changing weather. I believe you can be both sensible and arty at the same time! I am serious about my work but not precious. I am learning continually and believe that the day you say to yourself "yup. I'm there", you're done! I have a background in graphic design and illustration and was based in London for 23 years working for design and advertising agencies. Here in New Zealand, I run a design, illustration and photography studio with my husband, Neil. Our business is named Chocolate Dog after our much-loved but extremely naughty and intelligent Chocolate Labrador, Montgomery. You can view some of my illustration work at Chocolate Dog Illustration.